The biggest concern appears to be that the very large-scale campus stoutly perpetuates carbon spewing suburban Californian car culture. With garage parking for over ten thousand cars, and little by way of street connectivity, the carbon emissions of Apple employees commuting to and from the site could serve to undermine the otherwise impressive environmentally responsible goals of the building, which features a 5MW solar array and a vast amount of green space. Images © Apple, Inc, via City of Cupertino. I did expect more of Apple, but why? They have designed another corporate fortress, defensible from all sides. It does indicate that they are really just another corporation like any other, not the societal visionaries that many would like to believe. Their commitment to an integrated, plugged in society only extends so far. As a lifelong apple product user, I must face facts: their business model has become tired. I used to not mind paying an arm and a leg more for their products, knowing that every version was stable and well-tested. I am no longer the early adopter I used to be. Their model of "form factor first, followed by function through upgrades" is disrespectful. With the economies of scale they must be realizing these days, they could certainly lower their prices and truly dominate the world. If Apple really wanted to be green and save money, they wouldn't build in California. They would move out of state to where taxes are lower and there aren't so many Apple-buying hippies telling them out to build an office building. A lot of people like to blame Apple for poor decisions related to their proposed new campus... But I feel that it is unfair to assume that a large company should be the most responsible actor in this situation. The problem is that the city of Cupertino isn't thinking critically about its infrastructure, and isn't working towards building a pedestrian/public transit framework that local companies such as Apple and HP can work with. As someone who grew up in Cupertino I can attest to the fact that the town is very difficult for pedestrians to use, and those that deal with planning in Cupertino and Santa Clara County just don't understand how to move people around without cars. 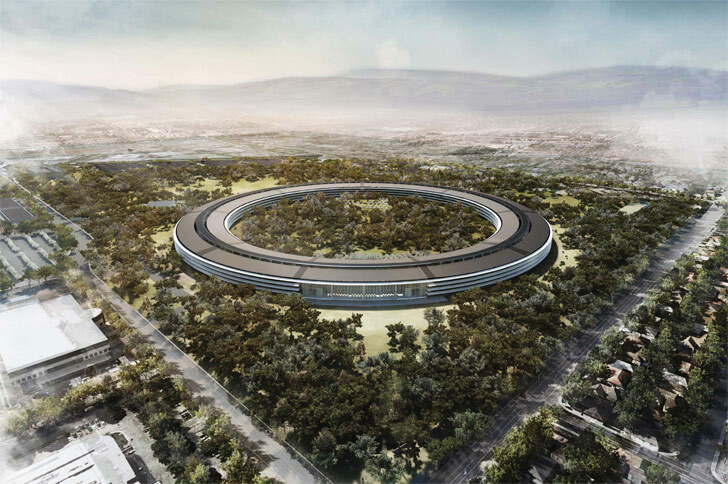 If Apple wants to stay in Cupertino and wants employees to be able to get to work, they are kind of stuck with cars until local and regional governments step up and embrace more sustainable city planning strategies. 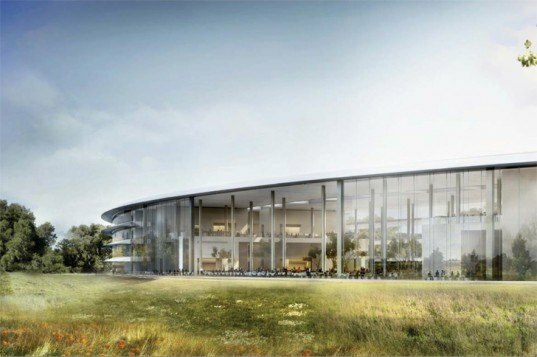 While many of the conversations regarding Apple today will center around the launch of the iPad 3, the Natural Resources Defense Council has taken to its blog to attack the computer giant over its plans for its new Cupertino campus. The proposed Foster+ Partner-designed campus impressed us with its expansive glass facades and significant commitment to renewable energy sources, but the NRDC's Kaid Benfield all but directly calls for a boycott of Apple products in light of its violation of "the most basic tenets of smart growth and walkability in the sprawling, car-dependent design of its new headquarters."